All log cabins should have the amenities that ours does! You will actually feel as though you are entering into your very own Log Cabin with its hardwood floors, and log walls and ceiling. 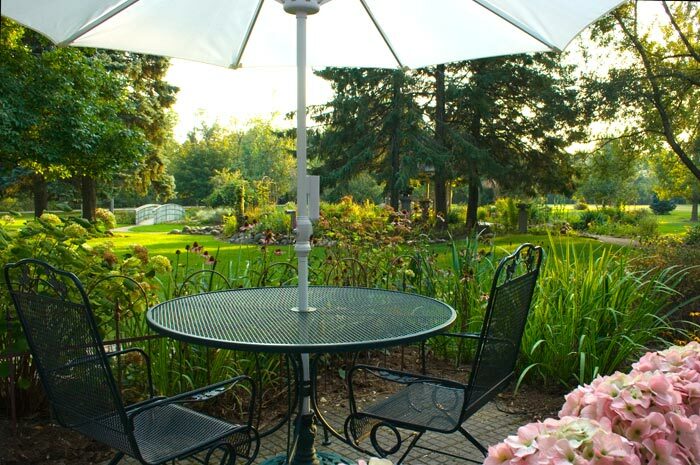 The country decor will let your cares just slip away as the coziness of the suite draws you in. It is designed with a separate bedroom and living room. A double reclining leather couch is a wonderful place to lounge while enjoying the crackling fireplace on your Lake Geneva vacation. 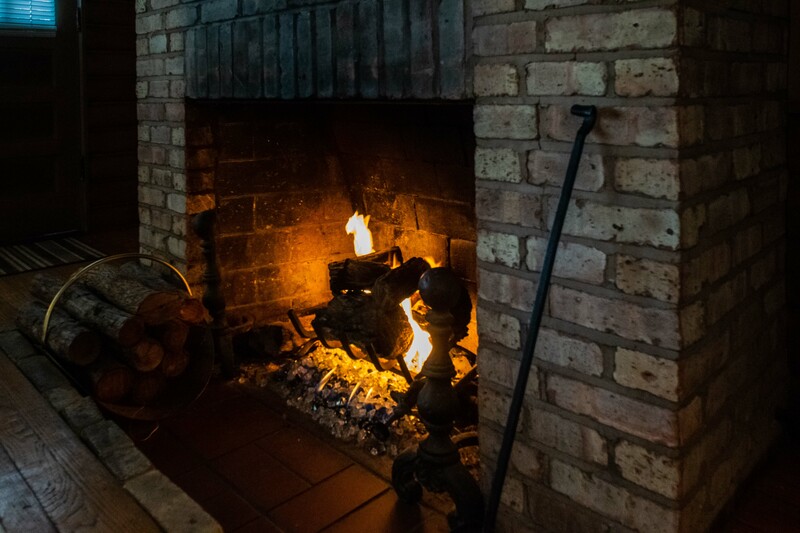 The original floor to ceiling brick fireplace takes you back in time to this warming room in the stables. 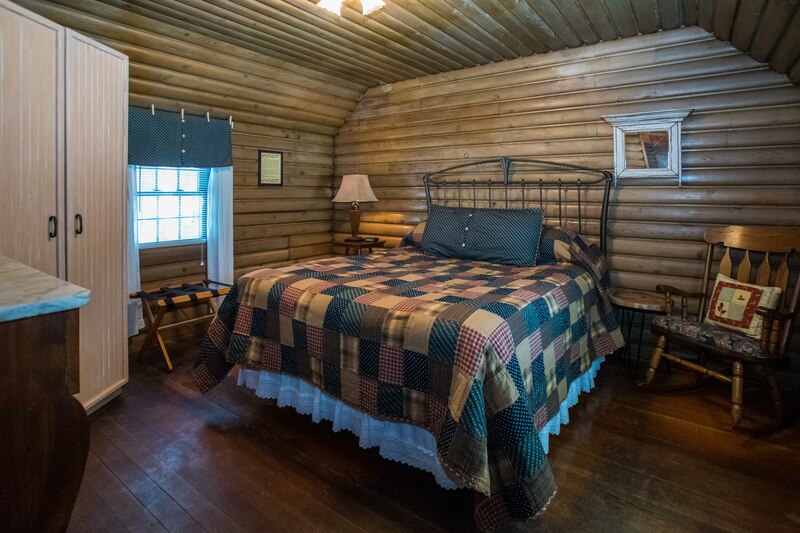 There are no rooms above the Log Cabin, and with a private entrance and outside sitting area, you can escape from it all! Book one of the most romantic log cabins online now or by calling 262-275-3322!